??? ????? ??????? ???'?? ????? ???! 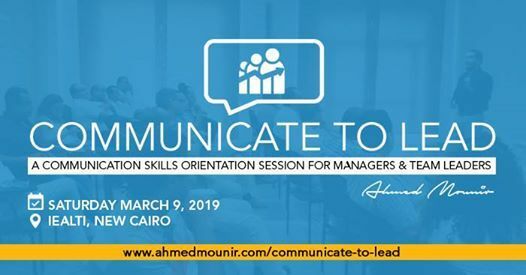 Are you a Manager, expecting to become one, or aspiring to be a Team Leader; and want to learn how to handle this critical role in terms of effective communication with your team? Companies with leaders who are great communicators have nearly 50% higher returns than companies with average communicators in leadership positions. How to handle a critical conversation with your employee instead of avoiding it. How to give your employee a feedback without hurting their feelings or pride. How to make your team follow you out of admiration, not out of obligation. 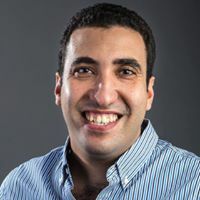 Ahmed Mounir is a Business Development Professional in the Information Technology field, a Human Development Passionate, and a Communication Trainer & Speaker. Ahmed has been in Sales for more than 9 years with some of the biggest corporations like QI Group, Microsoft, and Link Development. 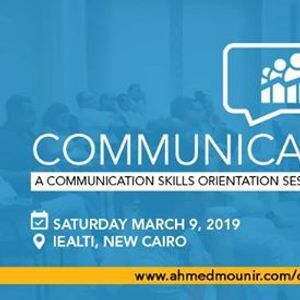 Ahmed’s passion and life mission is to help people become charismatic communicators. He believes that mastering human relations & effective communication elevates all aspects of life. Book your seat ... Boost your skills! ??????????? ?? ???? ????? ?????! You are fully protected by our 100% Satisfaction-Guarantee. If you don't get ​the benefit you were expecting from the session, just let us know and ​you will get a full refund.